As we look back on the month of July, in South Africa a month synonymous with the late Nelson Mandela, who was born on 18 July 1918, we reflect on this particular year, which marks his 100th birthday. ‘Madiba Month’ generated a phenomenal amount of goodwill, with individuals and businesses around the country paying it forward, donating 67 minutes of their time to creating a better South Africa. In that same spirit, READ celebrated Madiba Week by visiting Lawley Primary School in Lenasia, Gauteng. Over 50 foundation phase learners were extremely excited to experience our Pop-Up Library. When Mrs Book, a.k.a. 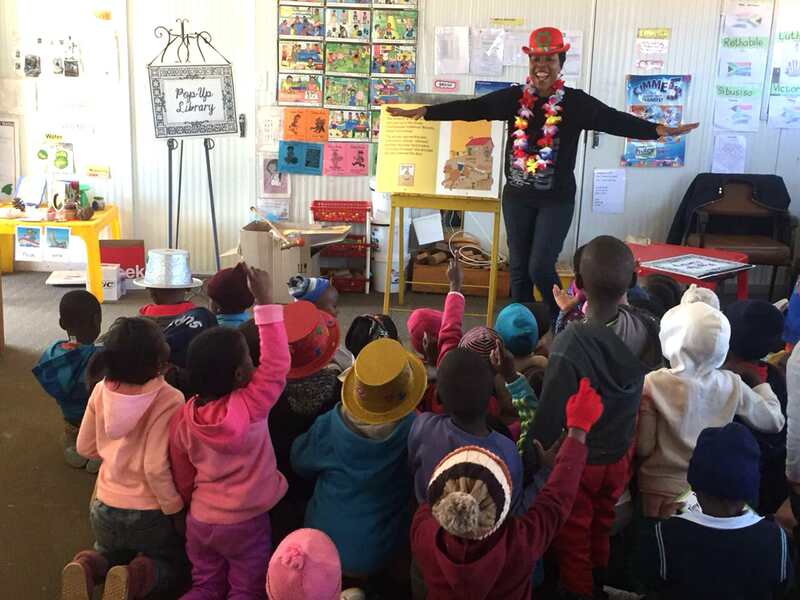 Lindiwe Mthembu lit up the room with her animated story-telling skills, the children’s mouths dropped open with delight! The little ones loved browsing through the book selection in our Pop-Up Library and couldn’t believe their eyes when they received a donation of books from READ, for their own school library! The Father of our Nation was surely smiling down at South Africans honouring his legacy! For more information about the READ Educational Trust visit www.read.org.za.